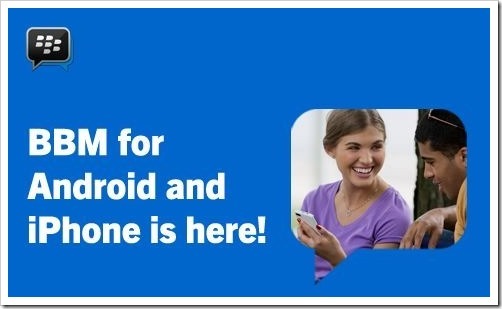 Last time the much awaited Blackberry Messenger released for Android and iOS, it was a huge fiasco. Blackberry did not plan it well, and neither did they expect such a huge demand for it. The result was that they had to roll back their launch and tweak their app and infrastructure to make sure that the huge demand for BBM from Android and iOS users can be accommodated. So, today morning when I got mail from Blackberry stating that BBM for Android and iOS has now arrived, I was obviously quite excited. But honestly, that excitement was short-lived. After downloading and installing the Android app on Nexus 4, I could not go beyond the initial splash screen, as it kept giving following message. After multiple tries and starting and shutting the app, I could finally get to the screen which started the process of creating my Blackberry ID. But at the end of that process, I got yet another error, which did not allow me to proceed forward. Here is what I could achieve on the new BBM app in 30 minutes since I installed the app. Suffice to say, even after more than 2 weeks of working on the app after the initial fiasco, Blackberry has not been able to sort out the problems. Next 5 million in line – your turn! Open up BBM and click “I got the email” to get started on #BBM right away! According to a tweet by BBM itself, in the first 8 hours since launch of BBM on Android & iOS, it has witnessed over 5 million downloads. 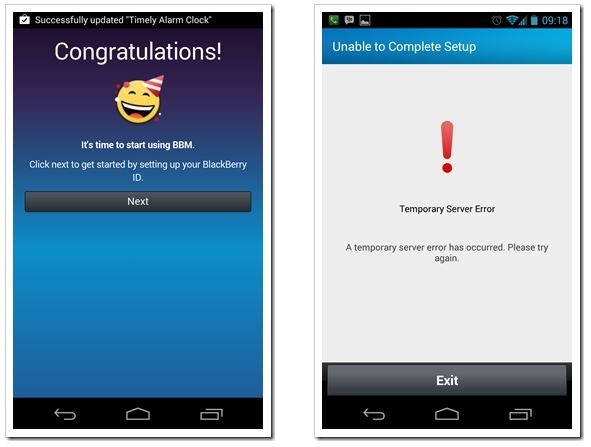 Surely, the interest in BBM is huge, but if these kind of problems persist and people are not able to get through, then people will uninstall the messenger as soon as they installed it! While the app can be downloaded by everyone, creating Blackberry ID is available only for people who signed up for their updates on www.bbm.com. 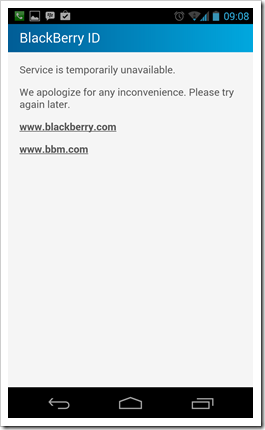 If you had done so, you may already have got an email from Blackberry. You will need to use the same email to register when asked in opening screen. If not, you do not need to worry. Just go ahead and register your mail at BBM website and you should get a mail shortly. Do let us know if you were successful in full registering and using the new BBM for Android/iOS. And if you were, I would love to hear your impressions on it!